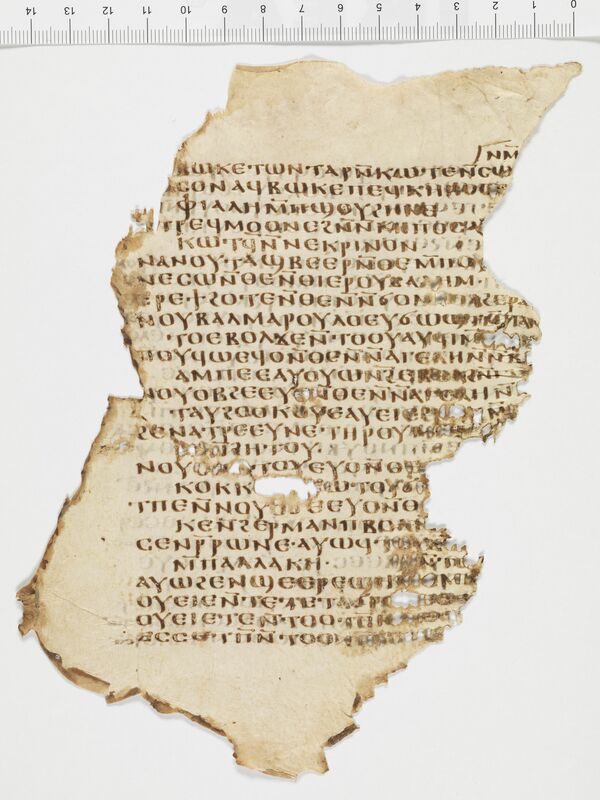 Eight leaves from a parchment codex containing the Song of Songs in Coptic (Sahidic). 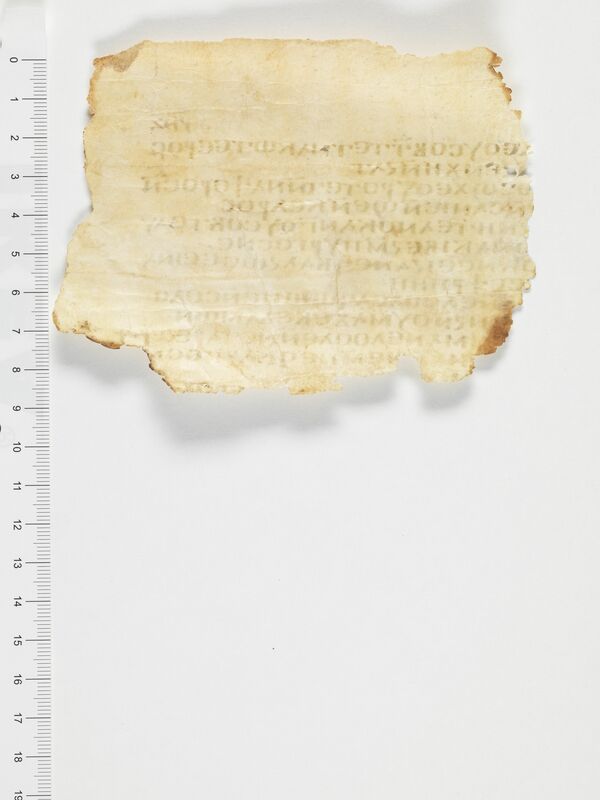 Description: These parchment leaves contain a portion of the Song of Songs written in a classic Sahidic dialect. Only eight leaves survive today, but the last leaf in numbered ⲣ̅ⲛ̅ⲍ̅ (157) so there is evidence that these leaves were once part of a larger codex. Because the Song of Songs is poetry the letters per line and even the location of the margins on the pages varies greatly. The dimensions given here are taken from the longest of any line. For a full description of the dimensions of each individual page see Kasser and Luisier, “P.Bodmer XL,” 151. The page number of the final page is written with a red ink on top of the black (page 157). 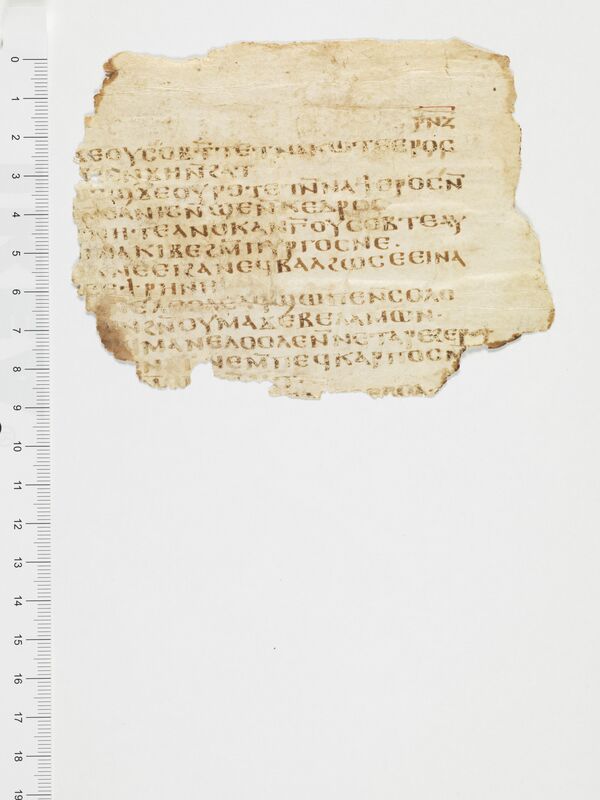 The manuscript must have been in the possession of Bodmer by 1959, when it was included in a list of unpublished manuscripts in Bodmer’s collection (Till, “Coptic Biblical Texts,” 240). CopistesThe text was copied by a single scribe using the Biblical Majuscule style (Orsini, “I papiri Bodmer,” 77). Dimensions: The width of the page is 14.8 cm. The height of the page is 19.6 cm. The ratio of the page (width/height) is 0.755. The writing is in a single column per page. The width of the written area is about 11.7 cm. The height of the written area is about 13.4 cm. There are 26 lines per page There are 8 extant folia. Quires: The surviving 8 leaves are in the following order: flesh/hair; hair/flesh; hair/flesh; flesh/hair; hair/flesh; flesh/hair; hair/flesh; flesh/hair. Cover: No cover is preserved. Binding: The original binding was not preserved. Paratextual features: The scribe uses a point at the end of a phrase segment, sometimes at the bottom of the line, sometimes in the middle and sometimes on the top. The scribe also uses apostrophes at the ends of some words. The pages were numbered in the top margin. Decorations: On pages 147 and 149 the scribe uses a coronis. 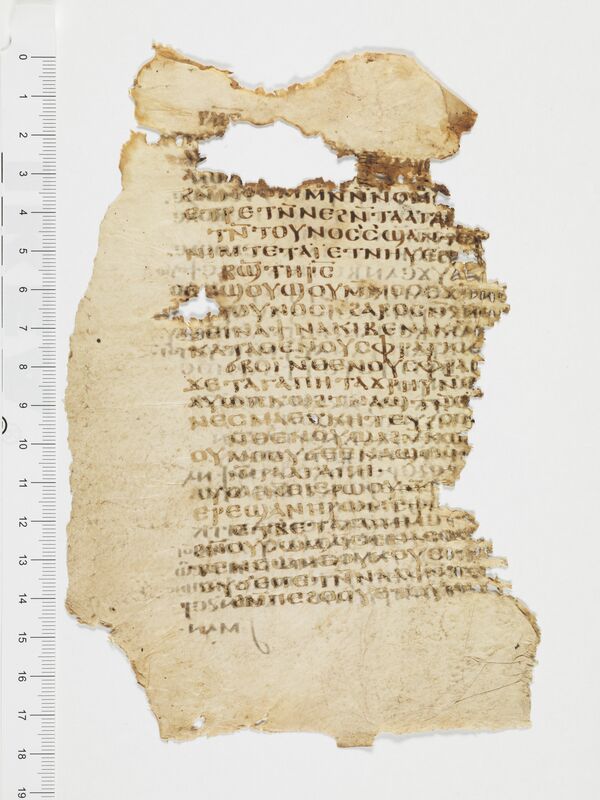 RésuméEight leaves from a parchment codex containing the Song of Songs in Coptic (Sahidic). Kasser, Rodolphe, and Philippe Luisier. “P. Bodmer XL: Cantique des cantiques en copte saïdique.” Orientalia 81, no. 3 (2012): 149-201. Orsini, Pasquale. “I papiri Bodmer: scritture e libri.” Adamantius 21 (2015): 60-78. Orsini, Pasquale. “La Maiuscola Biblica Copta.” Segno e Testo 6 (2008): 121-44. Robinson, James M. The Story of the Bodmer Papyri: From the First Monastery’s Library in Upper Egypt to Geneva and Dublin. Eugene, Oregon: Cascade Books, 2011. Till, Walter C. “Coptic Biblical Texts Published after Vaschalde’s List.” Bulletin of the John Rylands Library 42 (1959): 220-40.